With fall around the corner, many are planning their autumn harvest menus and looking forward to all the fresh veggies that are ready this time of year. 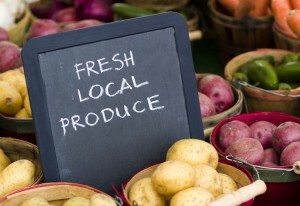 Lucky for us, Third & Valley is central to quite a few farmer’s markets in the area! Open weekly on Wednesday from 2-7:30PM, this market on Sloane Street just a quick walk away from our community, has been going on for 24 years. With dozens of vendors, you can find anything from bread, flowers, cheeses, wine and even specialty meats. For a full list of vendors, click here. Also open weekly, on Tuesday from 9AM to 3PM, the Millburn Farmer’s Market hosts many of the same vendors as South Orange and it open until mid-November. This market is around a ten-minute drive from Third & Valley. Only a five minute drive away, The Maplewood market is in it’sits 21st year and is managed by the Township of Maplewood. This market runs every Monday through October 26. However, depending on our fall weather this year and market attendance, it may extend until November 9. This year’s vendors include: Alstede Farms; Stony Hills Gardens; Hoboken Farms: Pickles, Olives, etc. ; Jersey City Veggie Burgers and Paolo’s Kitchen – Gluten Free Specialist.